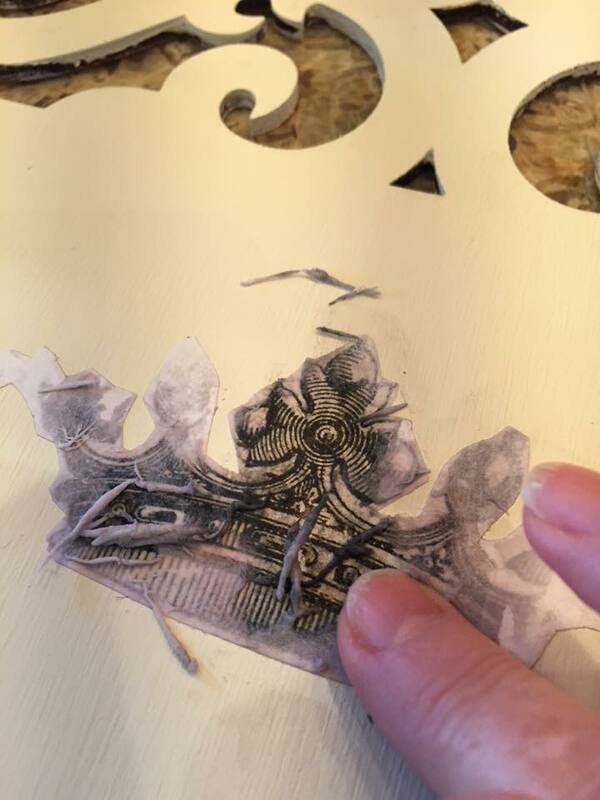 Have you ever wondered how all those DIYers are able to transfer printed images onto painted furniture? Well, now we have an easy way to show you, thanks to one of our amazing paint retailers in Missouri. 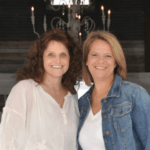 Tristan Taggart is an artist and furniture painter who sells her wares at Blue Moon Boutique Market in Joplin, Missouri. 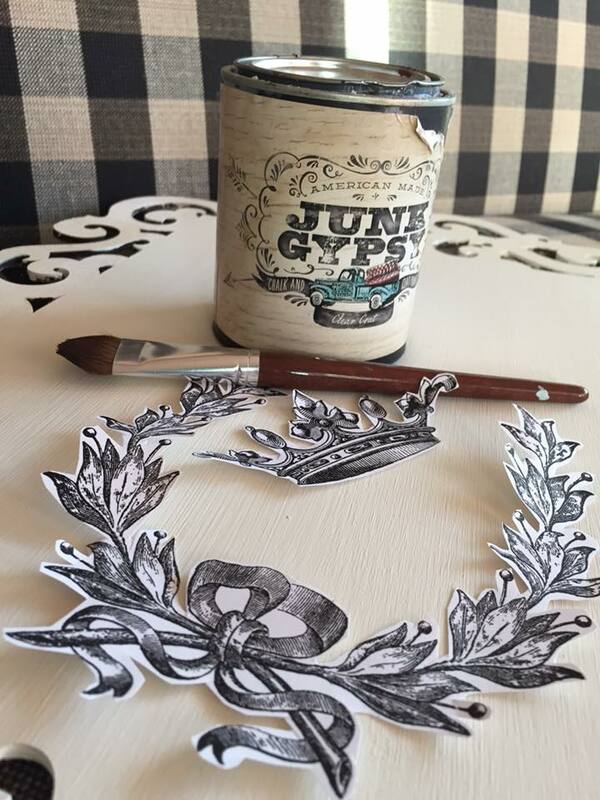 She’s super creative and is a lover of our paint products carried through the Junk Gypsy™ Paint and Rachel Ashwell Shabby Chic® Paint brands! 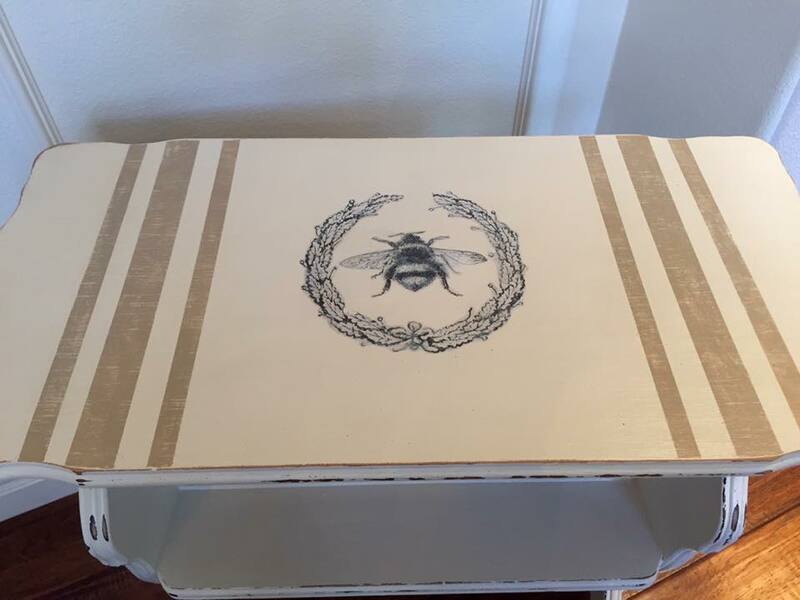 Recently she painted this little end table featuring a few transferred images, and we couldn’t wait to show you how it’s done! 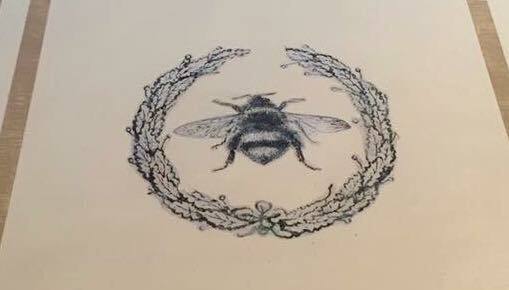 Here’s a close-up of the top, with the bee image. 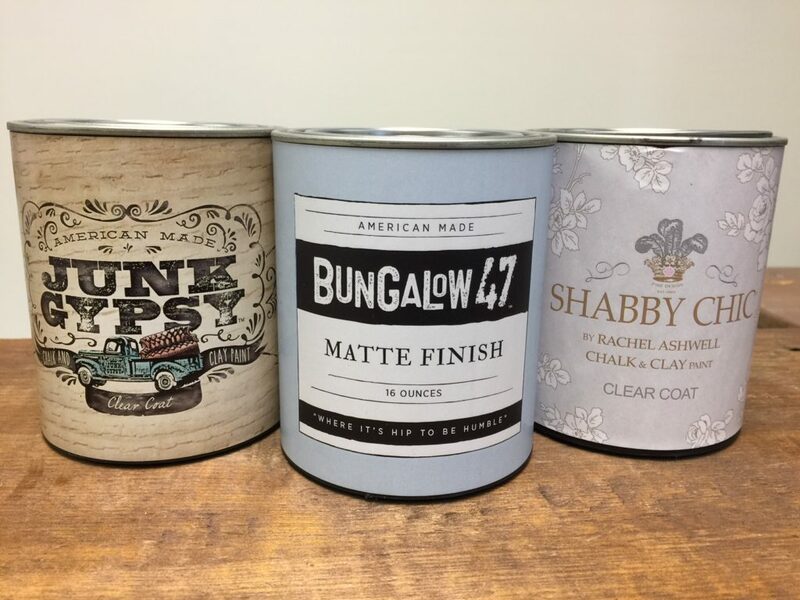 Our Clear Coat finish product is sold under three labels/brands. It dries with a matte finish and is a water and chemical-resistant finish, so it’s perfect to protect your painted surface! We wanted to share Tristan’s step-by-step process. Hopefully, this will spark a bit of creativity for your next project to try something fun and new! Take it away, Tristan! 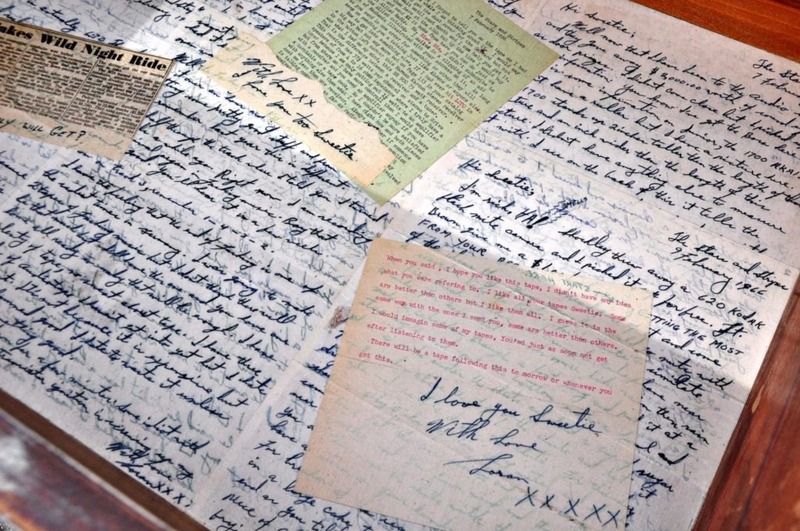 “Put a little water on your fingertips and gently rub away paper. I’ve tried other tools for this step, but fingers work best,” says Tristan. We trust a girl who is willing to get messy for her art! 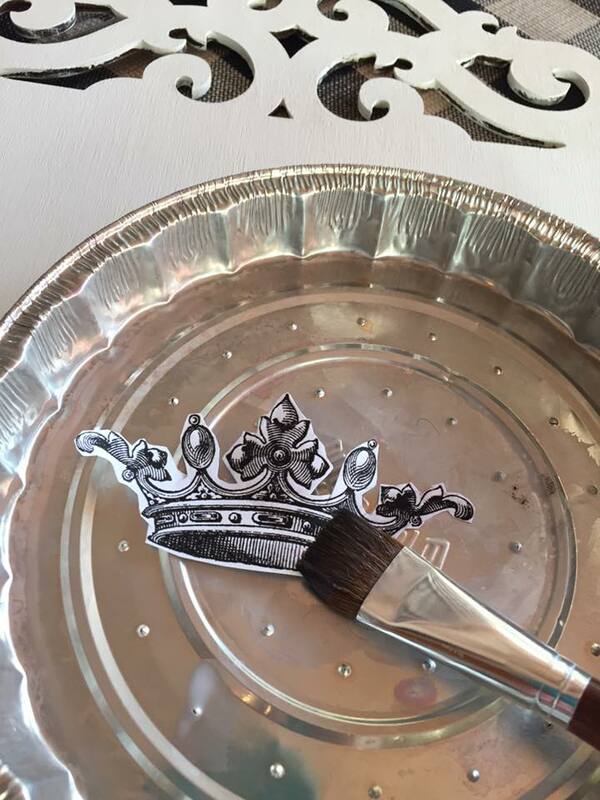 Clear Coat can also be easily used to decoupage images, patterned paper, tissue paper, old letters, or sheet music right onto your painted piece as well! It’s a great way to add a little surprise inside a drawer. We are always so inspired by all the creative people we work with, especially all of the paint retailers around the country carrying the different brands of paint that we distribute. 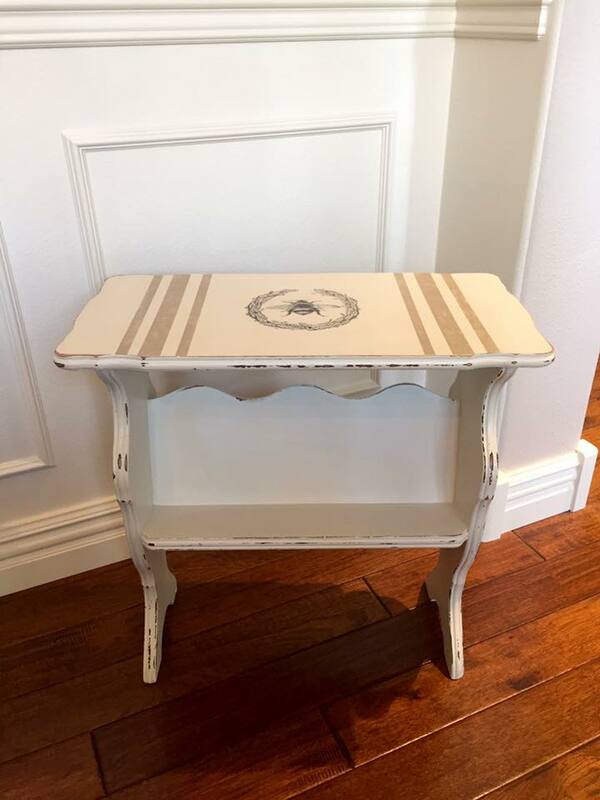 A big thank you to Tristan Taggart for sharing her project with us, and we hope that next time you are needing an awesome paint to update your flea market finds, you’ll think of us. 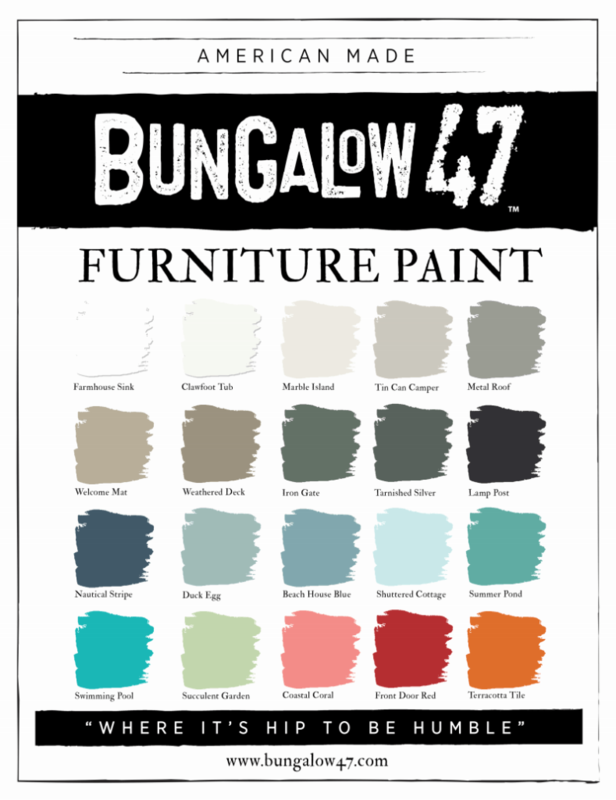 Bungalow 47™ Furniture Paint is available in 20 on-trend colors! 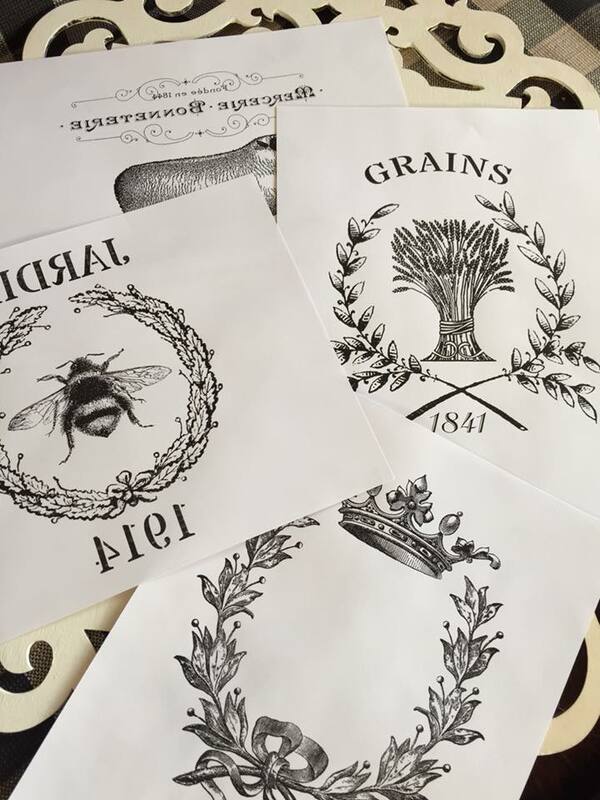 Thanks for stopping in, and we’d love to know how crafty you’re feeling! Leave us a comment, and tell us about your next project. 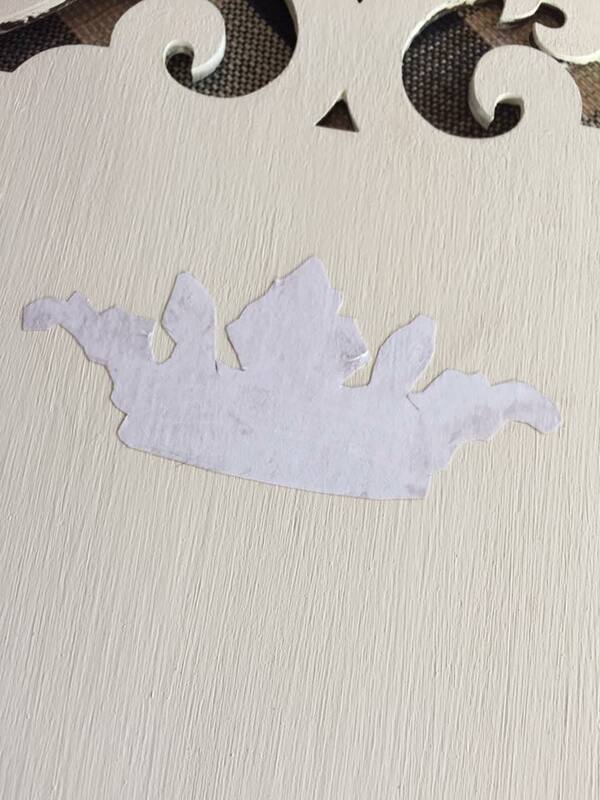 I was just talking with my daughter about trying something similar with mod podge but now I can use B47 clear coat! I’m super excited and can’t wait to do this!! !